One of the best ideas on dining tables for small spaces that is both functional and comfortable at the same time is to go with chairs with low backs. Even though models like that offer minimal back support, they are still way more comfortable than simple stools. 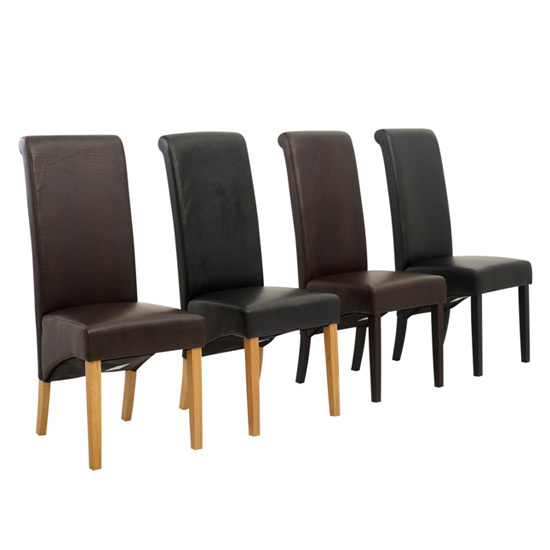 This sleek and modern solution is perfect for small dining rooms and kitchen dining areas. Sometimes, you can get a little bit more creative and think beyond a simple set of chairs. A combination of a bench and chairs is another space efficient idea that offers you a bit more flexibility when it comes to arranging your seating space. Plus, a bench next to a wall is simply perfect for rustic interiors. To visually boost your room space, think of transparent plastic chairs. This is a very impressive modern idea that gives any dining area a very light and stylish look. Sure, the suggestion will only work in modern settings, and maybe — in some mixed style interiors, where modern elements play a dominant part. Dining chairs for small spaces look best of all in light shades. Also, avoid rich ornamented upholstery and stick to simple patters — or, even better, monotonous fabric. In combination with other light furniture and accessories, chairs like these will look natural and will not clutter your room. Or, you can also think of contrasting your table with the chair set. For this kind of an arrangement, you should choose dark upholstery shades. 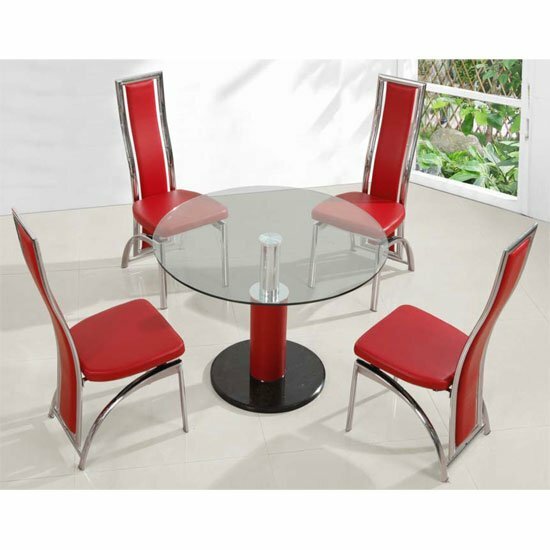 White high gloss dining table, for example, will look simply astonishing with a set of black leather chairs. Contrasting different materials is another impressive idea, even though working with different colours is an easier solution. To find impressive material contrasts, you should make a note of the most impressive material combinations first. Glass tables look good with any chair types, from plastic to metal; high gloss works best with high gloss and leather; wooden tables are also great with leather, fabric, and of course — wood. Finally, while looking for dining chairs for small spaces you should try to play along to your table shape. The basics are simple — circular tables look logical with round chair cushions, rectangular tables — with matching square or rectangular ones. Plus, table shape is the first thing that defines chair placement.